Full-service physical therapy in two convenient locations. Orthopedic, pre- and post-op, custom orthotics, geriatrics, balance, return to sports. Our locations in Mount Vernon and Monticello make it easy for you to do therapy right where you live. Meet our team and learn about our partners in other communities. 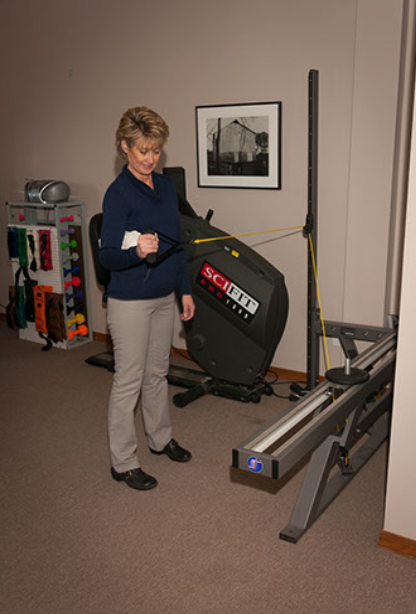 To help you get the most from physical therapy, we stay on top of the latest techniques and invest in special equipment. Our Shuttle Balance Platform improves balance, core stability and strength. It also helps reduce falls. The Impulse Inertial Trainer enhances muscle reaction time and joint stability.